Move over, MxPx. Bremerton Mayor Patty Lent has started a “Move to Bremerton” campaign of her own. 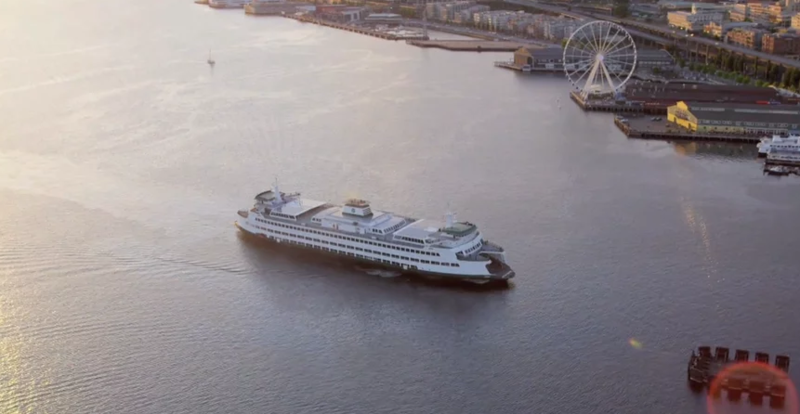 “They are twice the size that the pod apartments in Seattle and across the water (are), and half the price,” Lent says. She also talks up the city’s World War II-era housing stock, saying “sturdy” homes make “great fixer-uppers” for young families. It’s an “old city with a new look,” that’s pedestrian-friendly, she says. And there’s no comparison between an I-5 commute, and a “much more relaxing,” ” fun,” “and a beautiful ride,” the ferries provide. “We invite you all to come live in Bremerton,” she concludes. Lent told me Friday that she’s hopeful that some employees of Seattle’s biggest companies will want to move to town, and that if enough of them come, the Boeings and the Microsofts will even want to pay for faster ferry service to Seattle. Check out the other videos Barnet has made here. Words cannot even describe just how horrific the disjointed world of deliberate class warfare and the discarded treatment of long time Bremerton residents like yesterdays garbage that wages inside the bubble that Lent and her joined at the hip media coverage exist in. Colleen, would you like to revisit your run-on sentence, and make it a tad more legible? I am having problems with the lack of punctuation. . . thanks in advance. SoDo BremPa now in progress…great! When I was younger and living in Kitsap County, I was always wondering why dtBremerton was always looking ‘deserted’. I make frequent trips through the ferry dock and the feeling of all this growth makes me feel vindicated for being that ONE guy who would talk good about Bremerton, while everyone would clown on it. (Yes, Seattleites, thank you for the word Bremelo). Military brat here, I hope a recharged dtBremerton will BE the new cultural vanguard in Kitsap. Hey, I like Silverdale and all, but really…a mall parking lot as the center of commerce? With that said, Go Raiders! I am so frustrated by this campaign! Honestly I like the small town feel and I’d rather people come to visit, spend their money and leave! Rent has already increased by 15% in less than a year. Because we have limited access things out here already tend to be a little pricier. Adding a bunch of city folk isn’t going to help that….